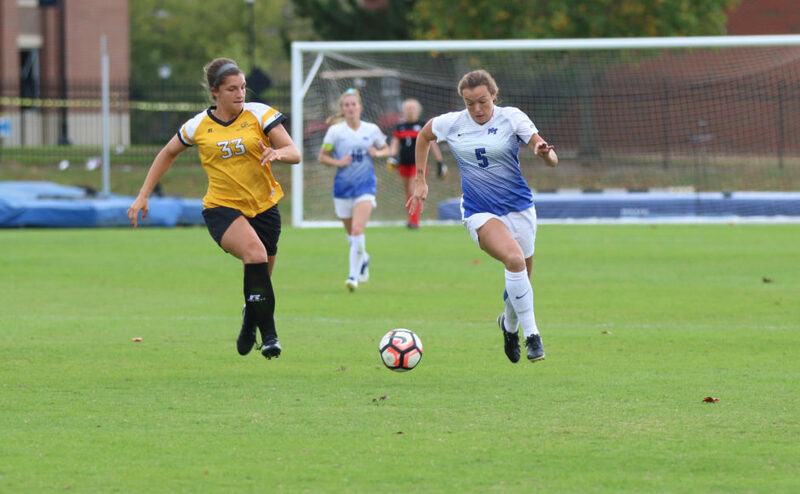 The Middle Tennessee Blue Raider soccer team fell on Sunday to the University of Texas-El Paso Miners 4-1 on Senior Day in Murfreesboro. For seniors Grace Stewart, Courteney Gibson, Madison Ledet and Angie Lai, it was their final game in front of the Blue Raider faithful. The win for UTEP gives them the edge in the all-time series 2-1 and continued the trend of the road team dominance in the series. The home team has yet to win a single game in the series. 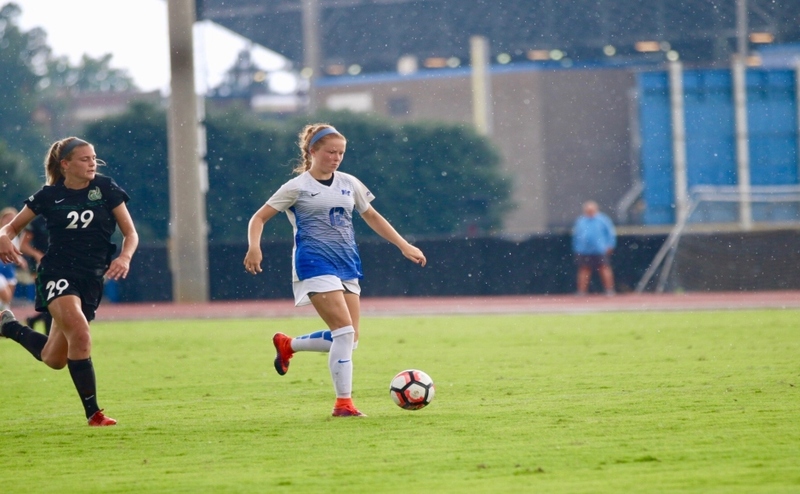 The Blue Raiders started out aggressively on offense as freshman Salera Jordan scored her team-leading seventh goal of the season in the seventh minute of the game. 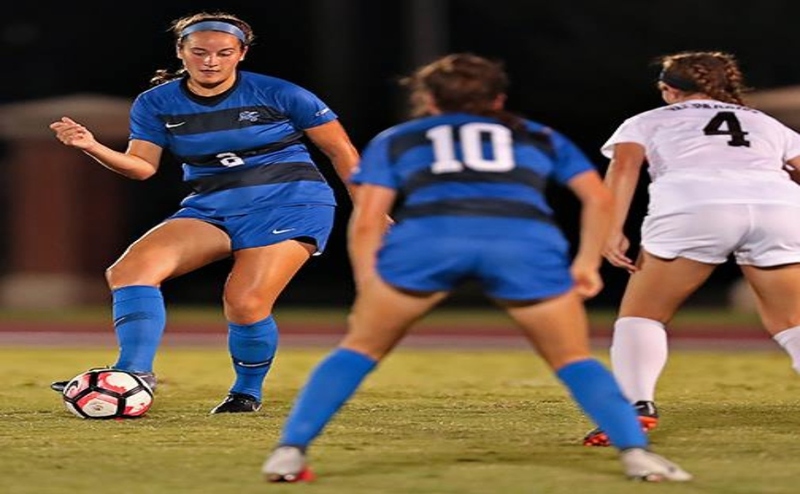 The lead was short-lived, however, as the Miners would reel off three goals in a span of seven minutes that would halt any momentum MTSU had up to that point. Nicole Lindsey tied the game in the 16th minute, while Kennadie Chaudhary and Lauren Crenshaw would add goals of their own in the 22nd and 23rd minutes, respectively. MTSU goalkeeper Celeste Barnard started her fourth straight game in place of Sydney Chalcraft and had a solid run coming into Sunday’s game. The most goals she had allowed in single game before Sunday was two against Rice, But that changed as the Miners aggressively took the lead. 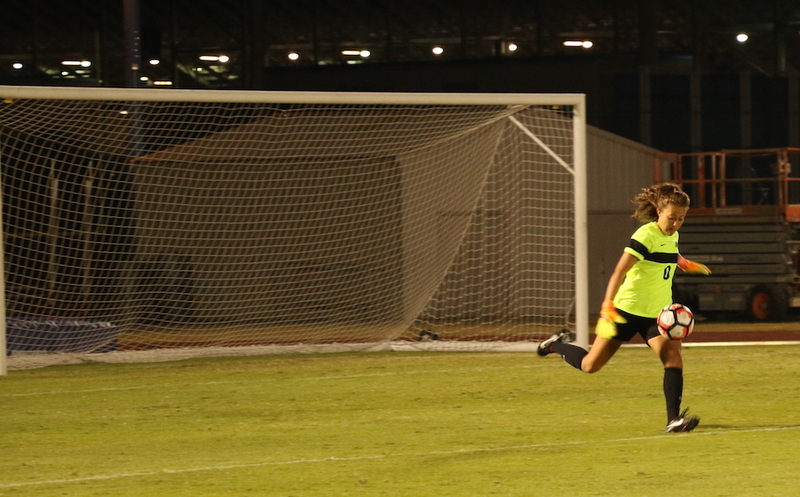 In the 34th minute, Barnard took a hard shot in a collision with a UTEP player and was slow to get up. After being helped by a trainer, she elected to stay in the game and was able to hold the Miners off the board until the end of the first half when Danielle Carreon scored with just one second remaining in the half to give the Miners a 4-1 lead. 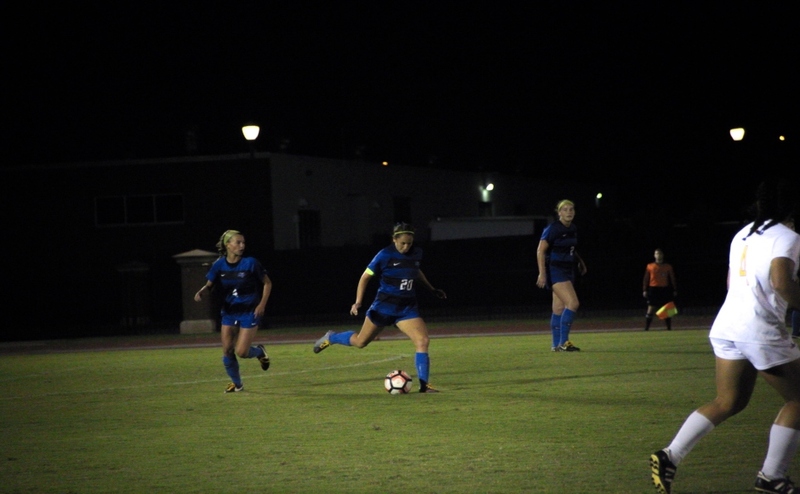 Chalcraft replaced Barnard in the second half and was able to hold the Miners without a goal in the period, but the Blue Raider offense was just as quiet as they fell 4-1. Coach Aston Rhoden said they accomplished one of their main goals early in the game before the flurry of scores by UTEP. On Senior Day, it was one of the freshman who led the way as Salera Jordan continued her solid rookie year as a Blue Raider. “Salera has been pretty consistent and has done extremely well for us this year,” Rhoden said of Jordan’s play. Even in the loss, Rhoden was clear that he was pleased with the overall contributions from the four seniors. 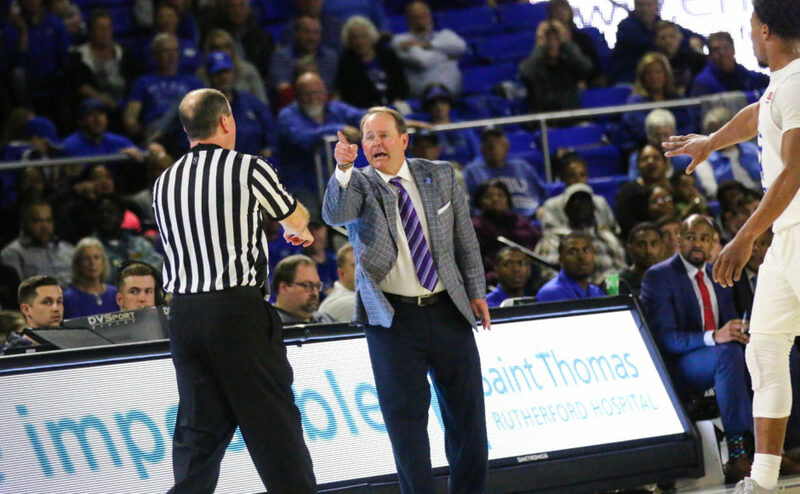 The Blue Raiders will have a four days off before heading to Ruston, Lousiana to take on the Louisiana Tech Bulldogs on Oct. 21. The game is slated to begin at 7 p.m.